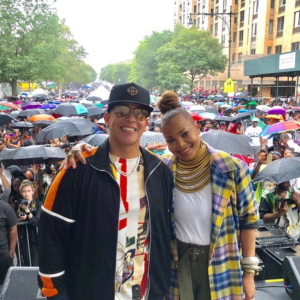 Janet & Daddy Yankee Ride The A Train to Harlem Week! Janet & Daddy Yankee Shut Down NYC to Celebrate New Release at Samsung 837! What a night! 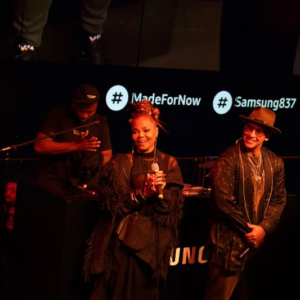 Janet, Daddy Yankee and over 500 people celebrated the release of “Made For Now” Friday night at Samsung 837 in New York City’s Meatpacking District. 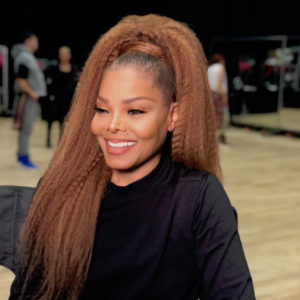 Janet’s record label, Rhythm Nation, welcomed the crowd and long-time friend & Creative Director Gil Duldulao introduced the “Made For Now” video followed by Janet entering with a procession of African drummers looking absolutely stunning. The night continued on with a star studded party at The Boom Boom Room hosted by Legendary Damon. Watch a re-cap of the exciting night below. Janet & Daddy Yankee Perform on The Tonight Show with Jimmy Fallon! Janet made her first late night TV performance in 14 years with a debut performance of “Made For Now’ last night on The Tonight Show with Jimmy Fallon! 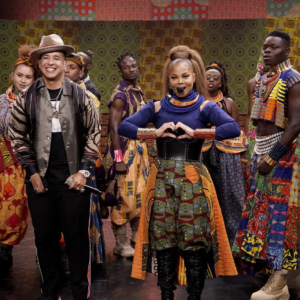 Says GQ, “Janet Jackson absolutely shut down The Tonight Show” with Daddy Yankee, surrounded by a team of dancers from places like Trinidad, Ghana, and Nigeria, dressed in West African prints. Watch the jaw dropping performance below. “Made For Now” is Out NOW! Watch & Listen to Janet’s New Single! Janet’s new single and music video “Made For Now” with Reggaeton star Daddy Yankee is HERE! Produced by Nigerian producer Harmony Samuels, the Afro-Latin inspired track is available everywhere; iTunes, Amazon, Google Play, Apple Music, Spotify, Pandora, Tidal, etc. and you can watch the Dave Meyers directed music video below! A special message from Janet about the upcoming State of the World Tour dates. Janet Jackson will be honored with the prestigious Icon Award at this year’s Billboard Music Awards on May 20th. On April 12th, Janet announced an open call to all fans to audition for a chance to dance with her and The JTribe in some upcoming projects. ICYMI, check out her announce video here. Tickets are on sale now, see dates and details on Janet’s tour page. 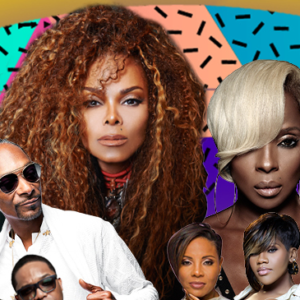 ESSENCE wants you to grab your squad and plan your trip as it announces its exhilarating initial talent line-up for the 2018 ESSENCE Festival, taking place July 5 – 8 in New Orleans. Hey u guys. I’m so excited for the State of the World Tour. We r in rehearsal mode. See u guys in 1 month! Tickets For All Dates On Sale Starting May 5 at Ticketmaster.com. A special message from Janet for her fans. My baby and me after nap time. It’s already difficult to believe that Janet Jackson turned 50 last month. And then the pop idol manages to spawn further shock waves with the recent announcement of her pregnancy. Emirates Woman gets an exclusive glimpse into the enigmatic life of a most elusive woman. Can you keep a secret? 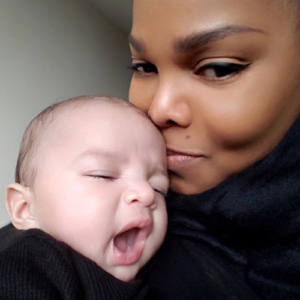 While you all know that Janet Jackson is in Dubai this weekend to perform at the World Cup, what you don’t know is that she will also be hosting an exclusive event when in the UAE, and it’s going to dazzle. Queen of Pop Kicks Off European Leg of Tour March 30 in U.K.
Growth has been a constant theme in the best of Janet Jackson’s work. Her spectacular breakthrough album Control (1986) was largely about growing into an adult. Rhythm Nation found Janet developing her social awareness, janet found the singer blossoming into a sexual being, and 1997’s audacious Velvet Rope was about various types of self-discovery (spiritual as well as sensual). Janet Jackson est fin prête pour entamer sa tournée européenne qui commence fin mars. D’après son producteur, “les fans l’ont aidée à guérir”. 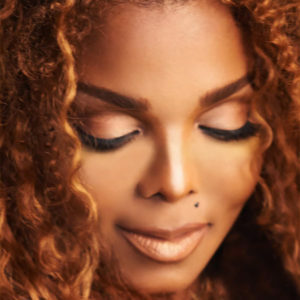 Janet’s postponed tour dates have now been rescheduled! Have you purchased Janet Jackson’s new album ‪Unbreakable‬, but having difficulty accessing MyMusicVIP.com? A special announcement for Janet’s fans in Europe. Software and Design: Copyright © 2018 Sparkart Group, Inc., its suppliers or licensors. All rights reserved. 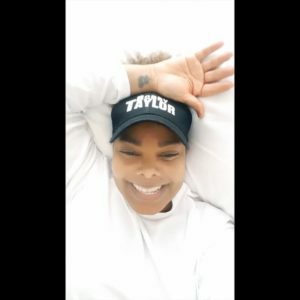 Content: Copyright © 2018 Janet Jackson, its suppliers or licensors. All rights reserved.